Larry Steinhouse interviews Tom Corner. In this episode, Larry Steinhouse interviews Tom Corner. Tom has spent a lifetime in search of meaning. His career began in the restaurant/hospitality industry shifting to a 20-year career in the Financial Services Industry where he worked with the country’s largest insurers, banks and broker/dealers. His journey towards an enlightened way of being has blossomed into success as an author, business leader and mentor while helping others achieve their fullest potential. 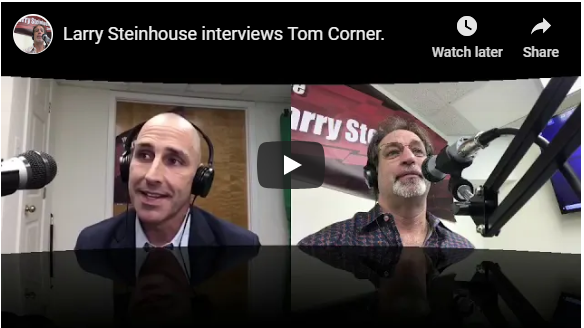 Next Larry Steinhouse interviews Tom Corner.